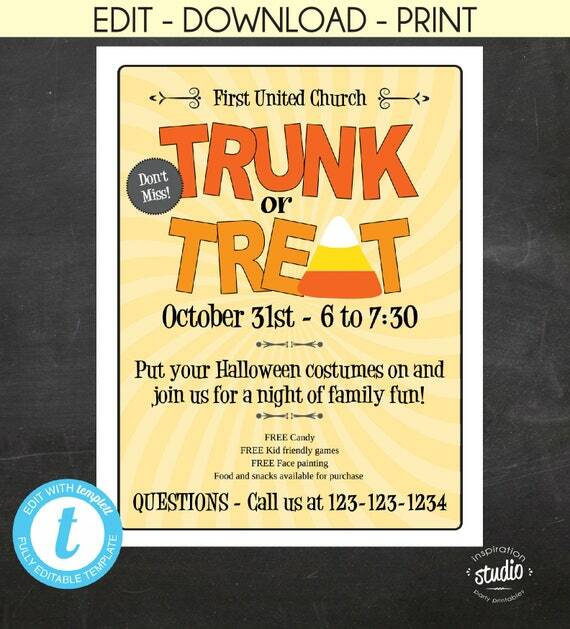 Does your community group, school or church organize trunk or treat for Halloween every year? Are you in charge this year? Before you dig into too much research, jot down answers to these questions. What do you already know about your expected attendees? Ages? Number? And, is there any history of this event? Can you chat with last year’s organizer, volunteers or attendees? Get as much detail and maybe even access to social media, email lists or digital files for flyers or invitations that were used last year. If this is a new event or you don’t have any information from last year, these blog posts give some great tips on planning a trunk or treat event. Then, check out some of the ideas I have listed below to help you check off the to-do list inspired by these great posts! Share these simple and affordable Trunk or Treat tshirts with your volunteers. 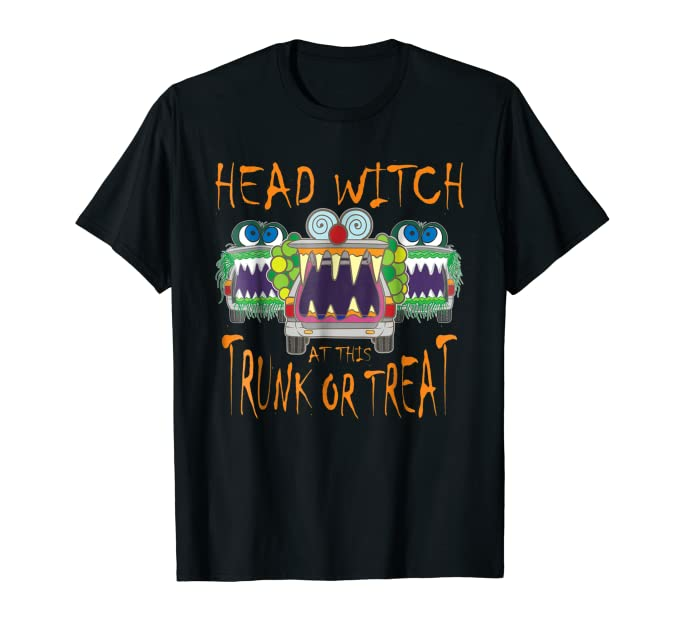 Grab yourself a “Head Witch” TShirt! Need a custom shirt for your Trunk or Treat event? Message me and I can help you order your custom design via Etsy or Amazon. You or a volunteer could spend a few hours trying to find the right clip art, fonts and colors to make a flyer… Or, save time and energy – hop over to Etsy and check out these adorable Trunk or Treat flyers. Review the listing details before you order. Etsy digital file sellers often provide customization of the flyers, or they may provide templates that can be edited in software such as Microsoft Word. Word of warning: If you are printing at home or using a small office printer, you may want to pick a flyer with a white / blank background! Not seeing a flyer that is just right? Take a look at the Trunk or Treat Flyers on Etsy! Will your elementary school or preschool be printing the flyer to send home to families? Are you collecting RSVPs from families? Consider an all-in-one solution like this customizable flyer by Etsy seller Inspiring Moments Design Group. Depending on the size of your Trunk or Treat event, you may also have a game or activity area set up. Pinterest can be your friend in searching for Halloween games. But if you need to save some time and pick up a few ready-made activities, consider these ready-to-go Halloween activities for your Trunk or Treat event! Do you need a few decorations that can repurposed for home or your classroom later? Grab this bunch of creepy swirls to hang in any trees near your games / activities area. Then, take them home to hang in your entryway to welcome trick or treaters! Add this cute Halloween bean bag toss game – a sure hit with event the smallest trunk-or-treaters! How about one of these original Halloween games for a childrens’ game table at the Trunk or Treat event or Halloween party? Or stop by Amazon.com for one of these affordable children’s Halloween games of pin-the-tail-on-the-pumpkin, witches hat toss, or eyeball and spoon racing! Are you also bringing your car to the Trunk or Treat? Then, check out this post for quick car decorating ideas that you can shop for!